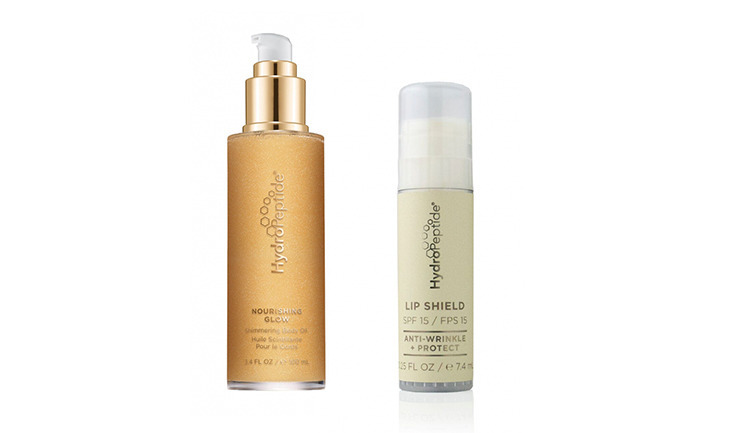 US skincare brand HydroPeptide has introduced the Nourishing Glow Body Shimmer Oil and the Lip Shield SPF 15 to its product offering. The Nourishing Glow Body Shimmer Oil contains jojoba and sunflower oil, which aims to nourish dehydrated skin and smooth uneven texture. It also contains vitamins C and E, which aims to reduce pigmentation, whilst giving a subtle shimmer to the skin. The Lip Shield SPF 15 is coconut scented and improves lip barrier function preventing dehydration and damage, the company claims. All products are gluten, paraben, sulphate, phthalates and cruelty free, according to the company. HydroPeptide products are distributed in the UK by Dermadist.